Shopping bags are a common item we often take for granted in this day and age. 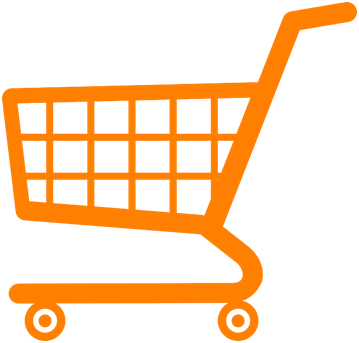 Most stores provide these convenient items to their customers as a way to manage their purchases, though they were not always so commonplace. Shoppers provided their own bowls and baskets right up until the early 1800s, which is when mass produced paper made wrapping and packaging more affordable for stores. These stores would often create makeshift bags out of the packaging by using string to create handles so customers could more easily carry their bundles. Fast forward to today, and custom shopping bags are now the norm. The modern shopping bag got its real start in 1912 with a grocer in St. Paul named Walter Deubner. Deubner created inexpensive bags that could be easily mass produced and that could carry as much as 75 pounds, increasing the groceries his customers could buy in one trip. These bags cost customers five cents each; eventually, in 1949, techniques were developed that allowed retailers to give the bags away due to how inexpensive they were. Now that shopping bags are so common, the real question is how you can use them more effectively in your company, for the benefit of your brand and your customers. Here are some things you must know before you start ordering your custom shopping bags. Order bags of about 15 and 16 micron for light use; these can be used for lighter items and may be a good choice for produce bags that will end up in larger custom shopping bags. Bags of between 18 and 20 micron are best for medium to heavy use and are on the more durable end of the bags found in supermarkets. These are thick enough to avoid double bagging in most instances. For heavy-duty products and durability, bags of between 22 and 24 micron are your best bet. You should also factor in size when developing the right bag and select a size that fits most of the products you sell, if possible, or order a range of differently-sized bags to accommodate your customers. Aside from keeping your customers’ products safe, thicker bags are more likely to be reused in the future. The benefit of this is twofold: the bags are less impactful on the environment, and your custom shopping bags get used more, meaning more exposure for your logo and brand. In addition to being convenient and reusable, you should also factor in the fragility of the products you sell. Is a sturdier bag warranted in order to ensure the safe transport of your products? Do you keep good plastic bags that are strong and durable after a shopping trip? What alternative uses do you have for them? We love to hear creative ideas from our customers. The bags from your store represent another opportunity for you to get your brand in front of more potential customers. You therefore should design a bag that is eye-catching and unique. Often, the simplest designs work the best, particularly on the limited real estate of custom shopping bags. Keep in mind that any design you create should still be functional for its intended purpose, which is carrying your products around. An ineffective bag leads to wasted money for you and inconvenience for your customers. When designing your bags, you should adhere to marketing basics as well. Who is your target demographic? How can you get their attention? What typography can you use to ensure any design or pattern on your bag is still legible while the bag is in use? It is often a good idea to look at bags from competitors in your industry to see what they are doing. Are their bags less than ideal? What weaknesses are there in design and structure that you could remedy if you had your own custom shopping bags? Also, do not be afraid to be bold with color. 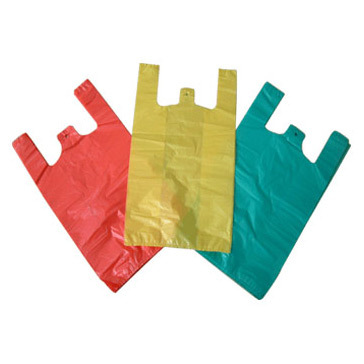 ANS Plastics Corp has several options when it comes to different bag colors, and we can also print different colors as well, meaning you have several options when it comes to making your bags truly your own. Depending on your target demographic, you may benefit from selecting biodegradeable bags instead. These are well-suited to retailers and shops in the green industry, including organic grocers. ANS Plastics Corp manufactures these types of bags in the t-shirt format, providing bags that decompose quickly after use rather than the 20 to 1000 years it can take for a regular plastic bag to degrade. This goes a long way to reducing the impact that the 1 trillion plastic bags used world wide each year have on the environment. Custom shopping bags are a great way to add value for your customers by giving them convenience and keeping your brand at the top of their minds. Designing durable bags with eye-catching designs and logos is another way that you can showcase your business and inspire interest in your brand. The added touch of biodegradable bags also can reflect positively on your business’ sense of social responsibility, which has a great deal of meaning for many customers concerned with the environment today. If you are interested in taking the next step in customizing your brand’s shopping experience, contact ANS Plastics Corp today to discuss designing and manufacturing a great custom shopping bag for your business.